Arsenal have been left in a panic as one of their star players sis set for a scan to reveal the seriousness of his fitness issue. 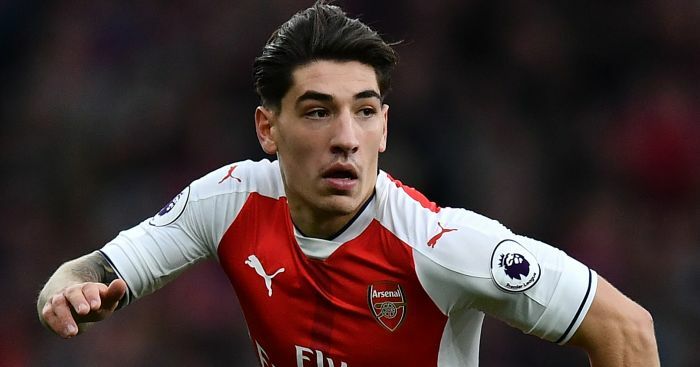 Hector Bellerin is the latest to have added his name to the already worrisome injury list. No helpful details were given on the problem as at press time on saturday. Bellerin was not available to face Preston North end and we earlier thought it was just as a result of the boss' decision to rest some players. We were later made to know the real thing when the Frenchman said that he left the right back out because of an ankle injury he sustained in training on Friday. Club sources have revealed that they are worried ahead of the scan to be conducted today. Records have it that the 21-year-old's previous ankle problems were very ugly ones. We can only hope that it is nothing serious because if he will be out on the long term, then that will be a big blow for us.